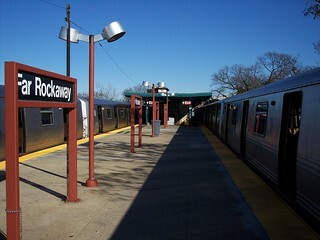 We began our trip on the Far Rockaway Branch here in Far Rockaway. 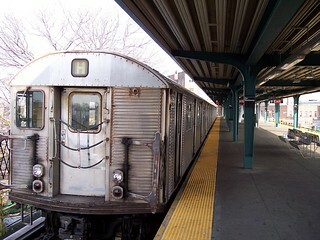 Our train to Valley Stream waits at the platform. 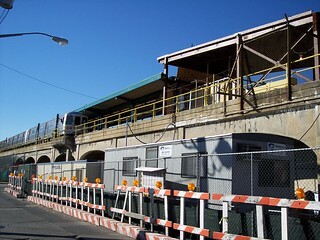 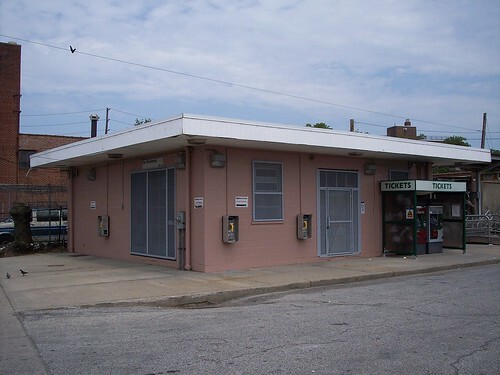 The old station is now the Far Rockaway subway station. 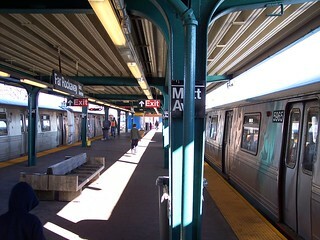 We began our ride to Broad Channel on the A train here in Far Rockaway. 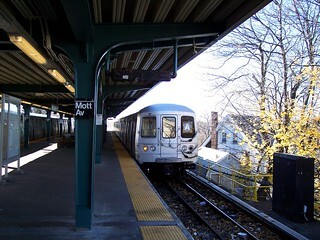 The station is also now called Mott Avenue. 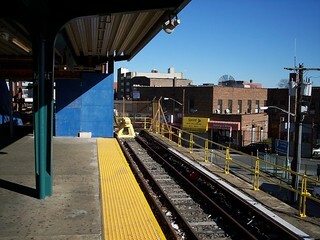 On the left, the tracks once continued to the current LIRR Far Rockaway station. 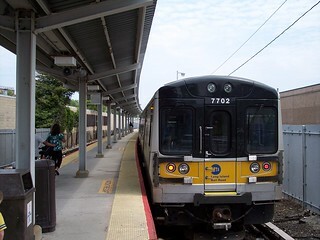 On the right is the H shuttle that ran temporarily after Hurricane Sandy. 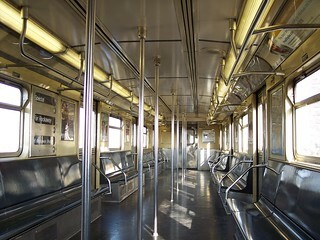 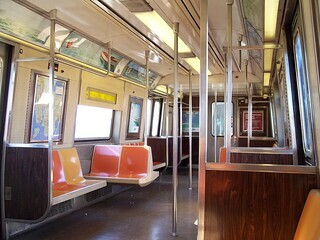 The interior of the subway, the A train on the left and the H shuttle on the right.